Need info on books to study on Ballooning. I am a Comm. Airplane, Helicopter, Gliders now an been flying 50 years. That is some helpful information on custom printed balloons. Thank you for sharing. I am a commercial pilot looking to do my private balloon rating. Can you please provide me with an estimated cost for this please. I would estimate $1,500 to $3,500 and it all depends on your availability and the weather. If the weather and your time cooperate for several back to back flying that will reduce the time and cost. Do you have a USA pilot certificate or UK? 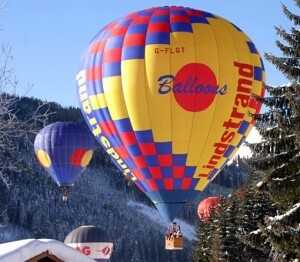 I am interested in gaining experience in a balloon and adding a balloon rating onto my commercial pilot certificate. All my time is in a fixed wing airplane. How much will it cost? I would estimate $1,500 to $3,500 and it all depends on your availability and the weather. If the weather and your time cooperate for several back to back flight instruction that will reduce the time and cost. Would welcome you to ring and we can review options and I can explain in more detail.